Africa is the world’s second-largest and second-most populous continent. It is second to none in terms of wildlife, wild lands and rich cultural traditions. 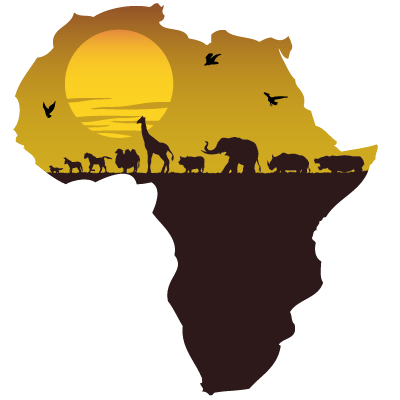 Jumia Travel, the leading online travel agency, shares 5 thought-provoking facts about Africa. Africa is believed to have over 85% of the world’s elephant population. It is also believed to have over 99% of the remaining lions in the world. In other words, over 99% of the remaining lions are on the African continent. Charles Darwin was the first scientist to suggest that the ancestors of human beings may have originated from Africa. But racism and the prejudicial attitude of many people in the Western world to Africa, made many people in the West highly resistant to such suggestions until very well into the twentieth century. Lake Malawi is located between Malawi, Mozambique and Tanzania. It’s the ninth largest lake in the world, and the third largest and second deepest lake in Africa. It’s a meromictic lake (that is, it’s water layers do not mix), and its waters are rich in fish. The lake is believed to have more fish species than any other freshwater system on earth, however the wild population of fish in the lake is increasingly threatened by overfishing and water pollution. South Africa is the only country in the world to voluntarily abandon its nuclear weapon program. The reason the then president of South Africa, F.W. de Klerk, gave for dismantling the nation’s nuclear weapons was that he saw no value of nuclear weapons in fighting wars, and the prospect of using them against neighbouring countries was too appalling for him to consider. Africa is considered a continent of extremes. It is a continent that’s very rich in mineral and agricultural wealth, but at the same time considered the world’s poorest continent, with many of its people suffering poverty and sicknesses. The continent is also extremely large, as well as extremely dry, with an extremely young population, so young that over half of the continent is under the age of 25.